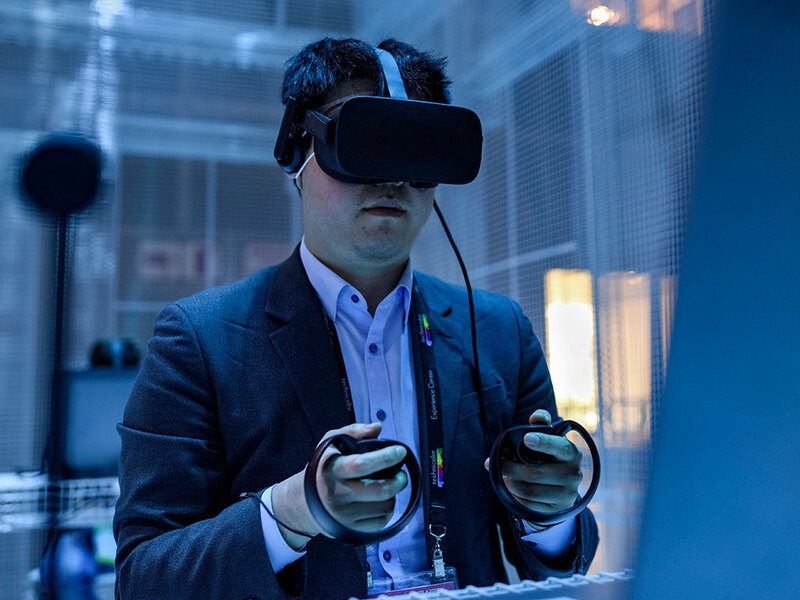 An attendee experiences a virtual reality game by Intel at the Virtual Reality Los Angeles (VRLA) conference, on May 4, 2018. As of June 2018, the virtual reality sector in the US is worth $4.5bn. As the world becomes increasingly advanced and interconnected, new sectors must keep up with the latest demands. From biotechnology to artificial intelligence, we count down five of the fastest growing industries. The price of renewable energy such as solar and wind power has declined in recent years and become more affordable, meaning that green power is now being seen as a more feasible option for many countries and companies. Global tech company Samsung has committed to using only renewable power by 2020 in the US, Europe and China. Additionally, the EU has raised its target of having 32 percent of its total energy use being green power by 2030 – after pressure from the UK, France, Spain and Italy. The renewable energy market is particularly successful because unlike other power industries, its sources won’t run out. The growth of this industry is so fast that the renewable energy market is already worth $1.35bn. As people and businesses turn online for their data and finances, so do cyber thieves. In 2017, in the UK alone, there were 4.7 million cyber crime cases, making cyber security more important than ever before. By using databases, networks, hardware, firewalls and encryption, cyber security teams can ensure that systems run smoothly, block intruders and stop any information or money from being stolen. Cyber security is now in such high demand, that experts predict that the global market will be worth $165.2bn by 2023. Biotechnology is extremely useful in the modern day as it can be used to generate higher crop yields, which is crucial in a world where the population is rapidly increasing. Moreover, biotechnology can cure genetic diseases by manipulating genes, improving the quality of countless people’s lives. Modern biotechnology was first used by Karoly Ereky, a Hungarian architectural engineer in 1919, when he began to convert raw materials into more useful products. The need for biotechnology is in such high demand that the market is estimated to be worth $727.1bn by 2025 with a growth rate of 7.4 percent. Virtual reality was first introduced into the market in the early 1990s, and from there the industry quickly went from strength to strength. Virtual reality is not just used for entertainment purposes: it is used by the military, in sport as a training aid and even in mental health to help patients deal with past trauma and severe phobias. The size of the virtual reality industry has practically doubled each year, from being worth $6.1bn in 2016 to $14.1bn in 2017. The market’s rapid growth making it an extremely successful and fast growing industry not only to be in, but also to invest in. Artificial intelligence is another industry that has rapidly grown, with its main pioneers located in China, Singapore and Hong Kong. From creating artificial intelligence that is able to smell disease, to being able to predict when you are going to die with a 95 percent accuracy, to Amazon Alexa, this sector is always creating new and improved technology. This competitive market will be worth almost $9bn by 2025.